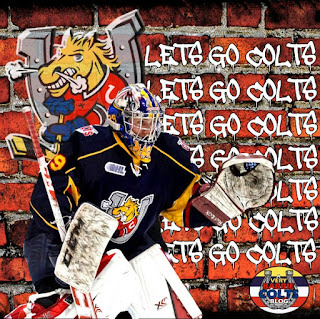 A Very Barrie Colts Weekend Recap/News (Nov 13th-16th) #OHL - Very Barrie Colts | A website covering the Barrie Colts of the OHL. The Colts went 1 and 1 over this past weekend. A huge 5-1 win on Saturday in front of a sold out crowd at BMC and a HUGE 7-3 loss on Sunday in North Bay to the Battalion. The Colts winning streak would end at 4 games. a 7-3-0-0 record over the past 10 has helped the Colts keep their top spot in the Central Division. This weekend also saw the return of Brendan Lemieux who missed the last 10 games following a suspension. The Colts 5-1 win over Saginaw was a strong game that had the 4257 fans in attendance on their feet. Both teams would put up over 30 shots a piece but another strong game from Mackenzie Blackwood would be the difference. Andrew Mangiapane posted a hat trick in the game while Kevin Labanc put up 3 assists. Ben Hawerchuk also put up a goal and showed off his fighting skills. Colts had some discipline issues in the game but managed to kill off 5 of 6 penalties. They also went 1 for 3 on the man advantage. All players minus 4 finished the game at least with a +1. The other 4 finished the game with a 0. Not a strong effort from anyone in Sundays 7-3 loss in North Bay. Easily a game the Colts would like to forget. Blackwood had a tough afternoon and was pulled for the first time this season. Though Blackwood didn't have a strong game, the blame can't be places solely on him. The team only generated 20 shots all game compared to 34 shots by the Battalion. Blackwood allowed 4 goals on 13 shots faced. Ruan Badenhorst would step in to relieve him just around the mid point of the game and despite allowing a goal on the first shot he saved he would finish the game saving 18 of 21 shots faced. Shaky early but once he settled in he looked decent. 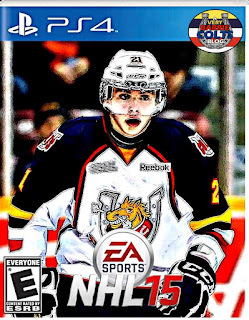 Hawerchuk and Nattinen both scored a goal a piece while Brendan Lemieux would do what he does best! No, not get a penalty.. I mean, he did that too but we meant to say that he scored a short handed goal. Despite the goal, Lemieux would finish the game a -4. He looked good for the most part in his first game back. Strong on the puck and moved his legs well but the entire top line was mostly dominated. Not how the Colts wanted to close out the weekend or how they wanted to see their 4 game win streak end. 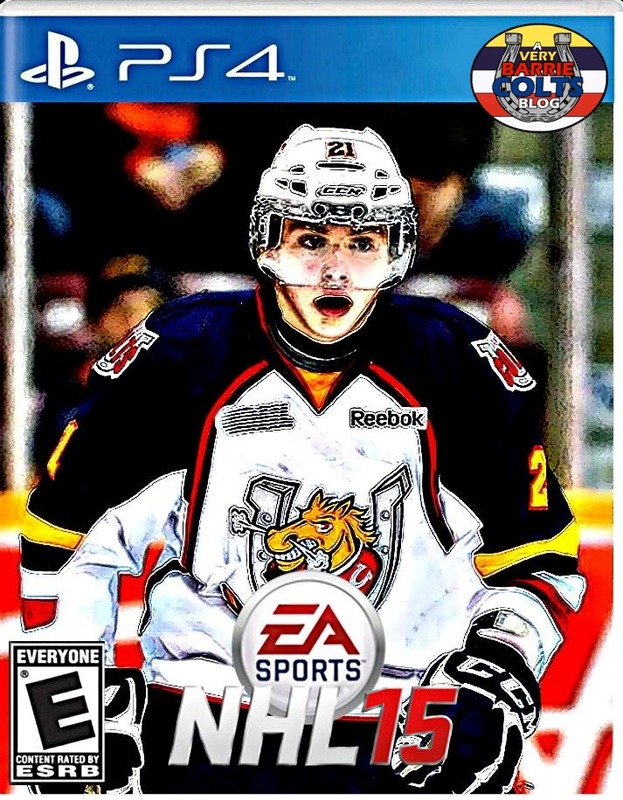 VS Sudbury Wolves on Thursday, November the 19th at 7:30pm. @ Flint Firebirds on Saturday, November 21st at 7:30pm. @ Saginaw Spirit on Sunday, November 22nd at 4:00pm. 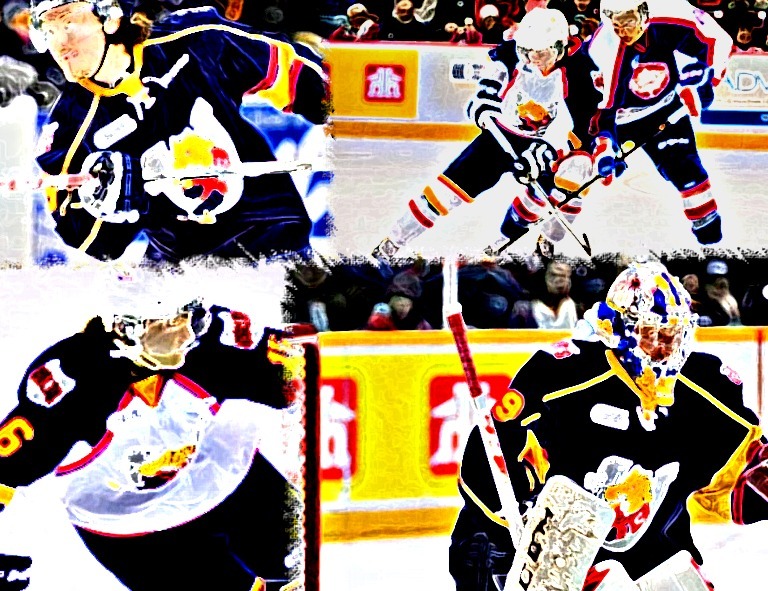 Mackenzie Blackwood and Andrew Mangiapane suited up for the CHL in the OHL vs Russia game last week. Blackwood earned a shutout in the game. Here is the recap if you missed it. We posted the second of our "Who's your Daddy" Series on Barrie Colt Brendan Lemieux and his father Claude Lemieux. Check it out here!